With a brilliant red scarf and cute yellow shorts, this cow is a permanent fixture alongside the road in the town of New Carlisle in the Gaspesie Peninsula in Quebec. Each fire hydrant in the town of New Carlisle is painted which brings happiness, life and colour to this friendly community. 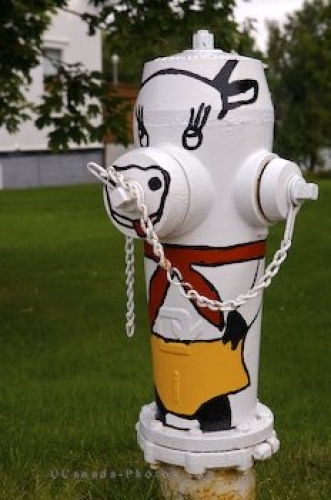 Picture of an adorable cow painted onto a fire hydrant in New Carlisle, Quebec in Canada.